Have you ever had a coach or teacher that motivated you to believe that the discipline and dedication of consistent work yields consistent results? There's truth to this statement. While we'd sometimes rather work on the easiest of tasks, exerting effort to excel and help others to succeed benefits us all long run. 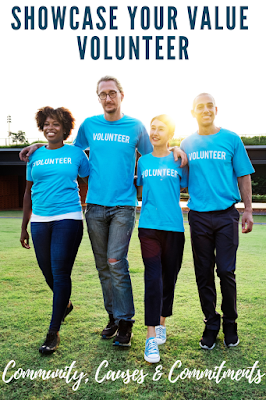 Building upon the techniques outlined within the Nurtured Heart Approach (NHA), created by psychotherapist Howard Glasser, enables positive, healthy relationships geared toward success. 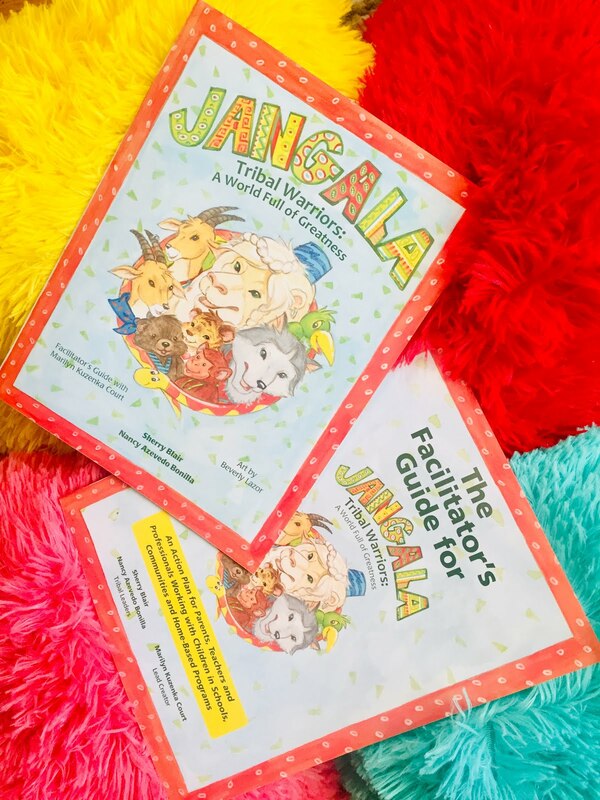 In the informative educational Jangala Tribal Warriors book series designed for home, school, and community use, the concept of Jangala as an integral part of our lives, communities, and world. Let's empower kids and ourselves with the three stands of Jangala Tribal Warriors. Thank you to the team from Jangala Kids for the courtesy of providing gratuitous promotional products for editorial content purposes. 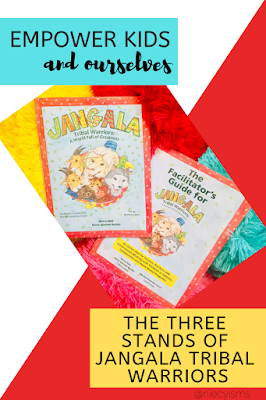 Designed as an educational book series for young readers of preschool, school-aged through middle school years to read individually or reinforce with the activities found in the companion Facilitator’s Guide. Written by Sherry Blair, Nancy Azevedo Bonilla, with Marilyn Kuzenka Court, the empowering text, the charming illustrations by Beverly Lazor provide a nurturing educational setting. 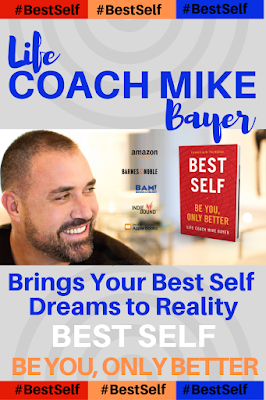 Through extensive research in positive psychology the rewarding benefits of positively and consistently strengthening discipline and dedication. Jangala is Sanskrit word from India meaning jungle, this story's Jangala is located in a rainforest in India. Rainforests are fascinating natural systems within our environment. Jangala Tribal Warriors protect and provide for the Jangala and the environment. With heart-based relationships, we're working together from a positive place toward positive goals. Stand 1 - Absolutely No! I refuse to energize negative behavior. Stand 2 - Absolutely Yes! I will relentlessly emphasize the positive. Stand 3 - Absolute Clarity! I will maintain total clarity about rules that demonstrate fair and consistent boundaries. The Three Stands empower kids, as well as adults to live, grow, and learn from a place of greatness. Your Jangala is all that surrounds you, your home, your school, your community, and all of the people around the world in our human tribe. We're all encouraged to be warriors, defending what we believe in, by standing up for one another, according to the rules. "In the Jangala, we are all warriors of peace." Find The Jangala Tribal Warrior Series on Amazon.